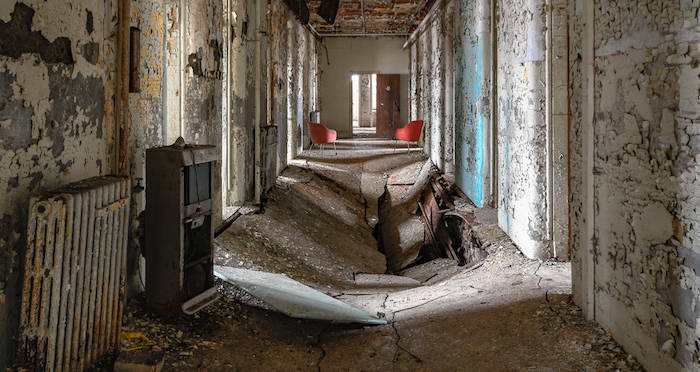 Though it's been shuttered, Willard Asylum still stands as a creepy memorial to those who once walked its halls. New York Library/Wikimedia CommonsAn early photo of Willard Asylum in the 19th century. The area surrounding the shores of Seneca Lake, New York is breathtaking by any measure. Every year, thousands of tourists pour into the Finger Lakes region to take in the changing of the leaves as the green of summer makes way for the hues of autumn. And if you stray too far from the tourist attractions, you may stumble across a certain building that has its own sort of beauty. The Willard Asylum for the Chronic Insane was once a stunning example of mid-19th-century architecture. Now the sprawling grounds sit abandoned for the most part. Though nature has begun to reclaim the halls, they still seem haunted by the lost souls who once walked them. Freaktography/FlickrOne of the ruined hallways inside the asylum. 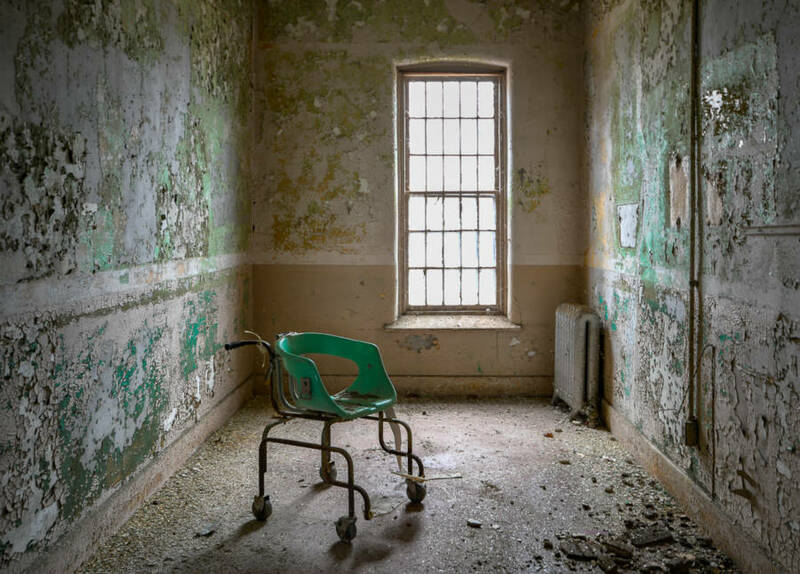 Willard Asylum was meant to rescue mentally ill people from county facilities where they were usually kept, often chained up or in cages. At Willard, the idea was that patients could be treated and trained to find productive work so that they could rejoin society. This was a new concept at the time the facility opened in 1869, and the effect it had on the patients was obvious from the beginning. The first patient was a woman named Mary Rote, who came from just the kind of situation Willard was built to save people from. Rote was suffering from dementia and had spent 10 years in a county poorhouse chained to her bed. It wasn’t until she arrived at Willard Asylum by steamboat that her chains were finally taken off. The experience left her physically deformed and disheveled. But at Willard, the staff made sure that she was dressed and groomed every day. They treated her like a human being instead of an animal. Almost immediately her mental state and overall health improved. Willard was trying something different and it worked. But the facility was still a product of the times and today, many of the asylum’s practices would still be considered horrifying. 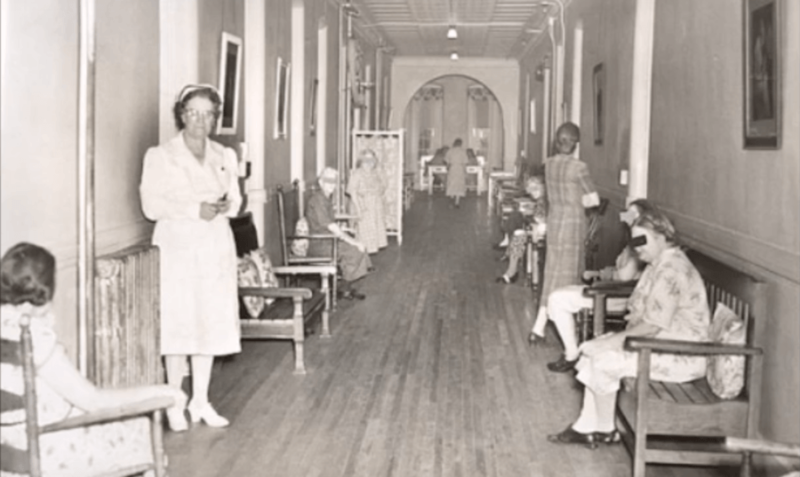 Shrieking Ghostly/YouTubeSome of the patients at Willard in the 20th century. In practice, Willard was as much a prison as a hospital. Patients were kept until the administrators decided they could leave. Many never did. At a time when understanding of mental health was very crude, not everyone who found themselves locked in the asylum was really insane. One of the asylum’s most famous patients was Joseph Lobdell who was committed for “a rare form of mental disease,” as his doctor put it. While he had been born a woman, he felt himself to be a man. Today, being transgender is no longer considered grounds for commitment to a mental institution. And Lobdell was certainly not insane. Yet he spent 10 years at Willard before being transferred to another mental hospital, where he remained until his death. While Lobdell is gone, the signs of what patients like him went through can still be seen. The rooms where patients received treatments like electric shock therapy remain. And while the floor is giving out, many of the rooms where the patients spent their days remain. The bowling alley built in Willard during the later years is also still there with several decaying pins remaining at the end of the lanes. It was one of the few places that the patients could partake of the activities they enjoyed outside the walls. Freaktography/FlickrAn abandoned corner of the asylum. You can also see what happened to the patients who ended their lives at the asylum. The morgue is still largely intact, with the autopsy tables in place next to the drawers where bodies were kept. The crematorium remains as well. The corpses that weren’t cremated ended up in the asylum’s cemetery. They’re there as well, each grave marked not by a name but by a numbered metal plaque. In those days it was seen as shameful to have one’s family name appear in the graveyard of a mental hospital. As such, out of respect for the patients’ families, none of the graves were marked with surnames. Today, efforts are underway to find out who is buried in the graves and replace the numbers with names. But the process has been slow because of the lack of records. A better memorial to those who died at Willard might be found in the attic instead. In 1995 – the same year it closed – hundreds of suitcases were discovered in the attic. 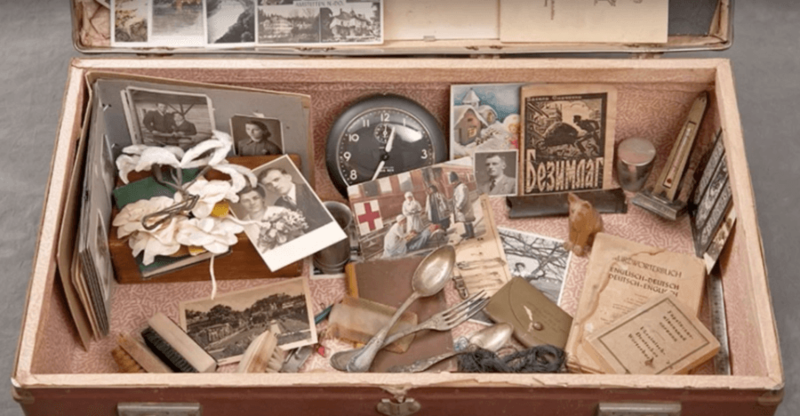 They had been left behind by patients who never left, their belongings left unclaimed. It turns out the staff had been reluctant to throw them out. Instead they were stowed away and forgotten for decades. Now, they’re being carefully opened and the items inside are being documented. 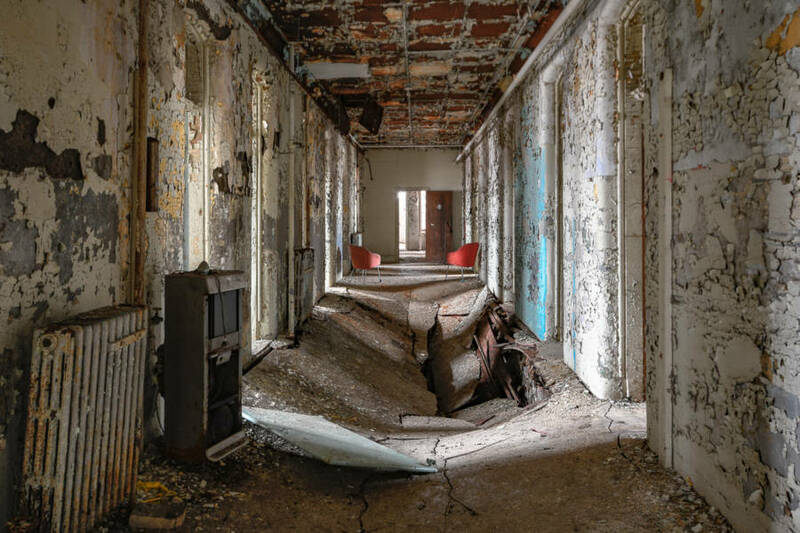 They paint a vivid portrait of the former patients of Willard Asylum and the things they felt they needed to bring with them for their stay. Many contained personal keepsakes or things that the patients were reluctant to let go of. Shrieking Ghostly/YouTubeA suitcase discovered in the attic. Other suitcases have more practical items like shoe polish or toothpaste. They’re the sorts of things anyone would pack when going for an extended hospital stay. But in some of the suitcases, there are photographs of loved ones or even of the patients themselves. Like the people who died at Willard Asylum, they were locked away and forgotten by the outside world.